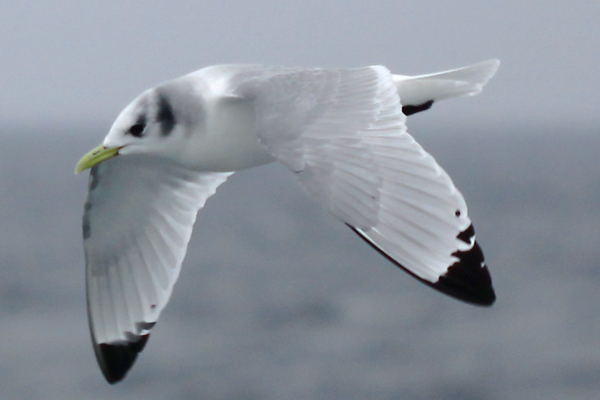 Black-legged Kittiwakes are one of two species in the genus Rissa, the other being the very similar Red-legged Kittiwake Rissa breverostris that is only found in the north Pacific. Both kittiwakes are named for the call of the Black-legged Kittiwake, which, according to David Sibley, is a “rhythmic, repeated kitti-weeik” though some refer to young kittiwakes by the archaic “tarrock.” The scientific name “tridactyla” comes from the fact that the Atlantic population of Black-legged Kittiwakes have only three toes, an oddity among gulls. But enough facts: you want pictures! 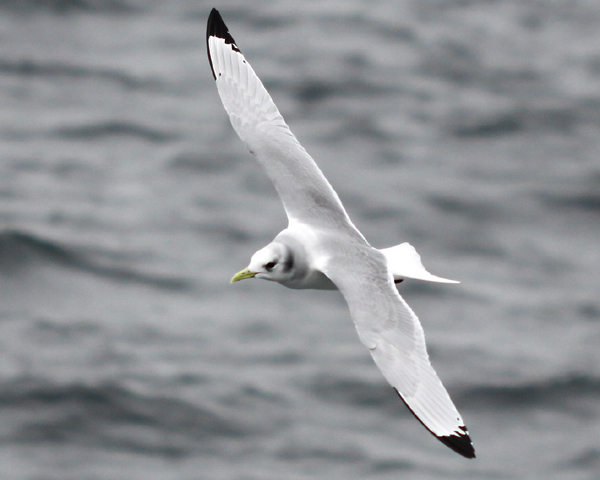 All the shots below are of adult Black-legged Kittiwakes. We did see some young birds but I failed to get any decent shots of them. 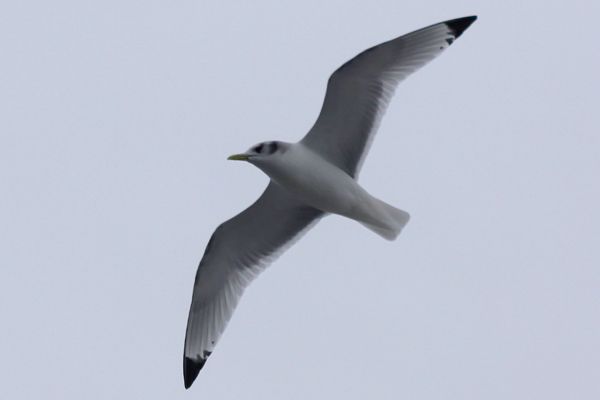 You can see one unfortunate young kittiwake in this post about a previous pelagic trip. Hope you enjoyed the kittiwakes and that someday you get as good a look at them…and this post has been submitted to Bird Photography Weekly #74. Go check it out! Did you see any still in moult? @Charlie: That is interesting, and, no, I did not notice any still in moult. 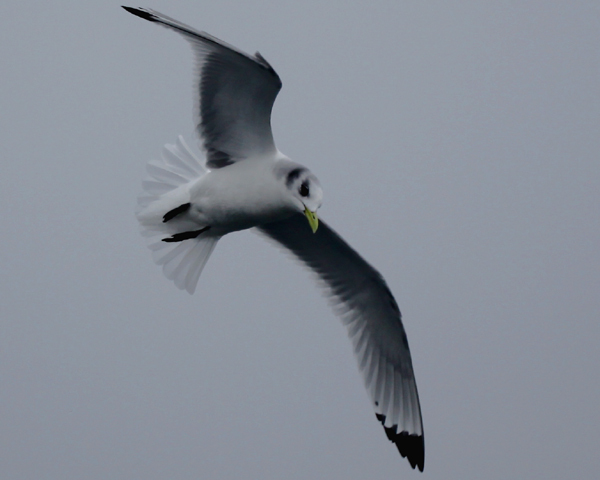 And I had forgotten how much I liked those shots you got, especially the one with kittiwake tongue! 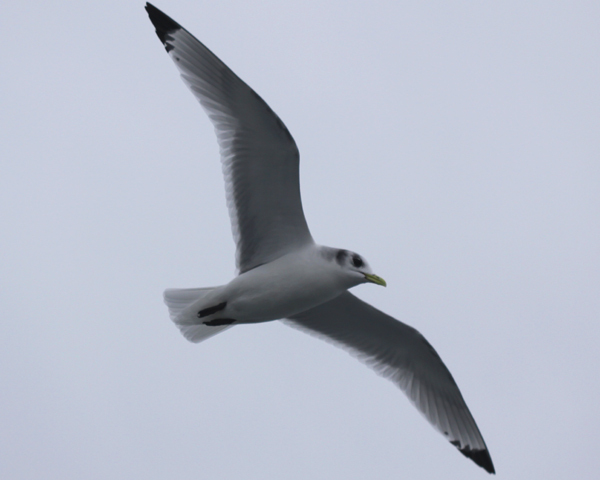 I love watching Black-legged Kittiwakes in flight at the Floe Edge. They are quite a tame bird as well, coming quite near and checking us out. 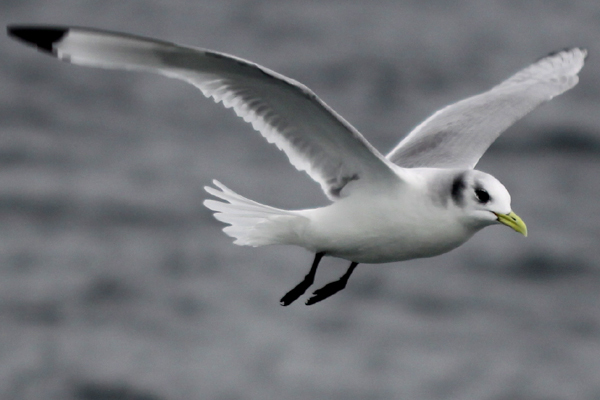 Not quite as curious as Ivory Gulls, but I love their “delicate” flight. The fourth shot down is just a great looking shot. Great shots Corey! 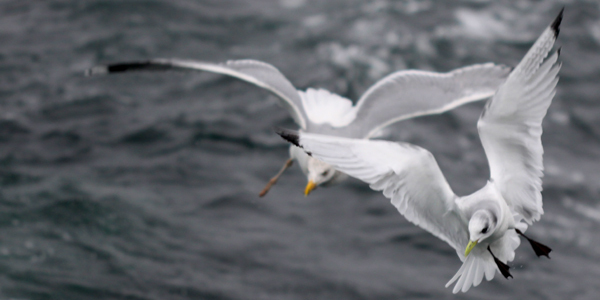 Gulls are so beautiful in that effortless flight. Nice in-flight shots. What is that with a yellow leg in the 3rd pic? @Jill: It was actually pretty balmy, with temps never below the 30s (F). Excellent photos Corey! I agree, 4th one down is awesome! 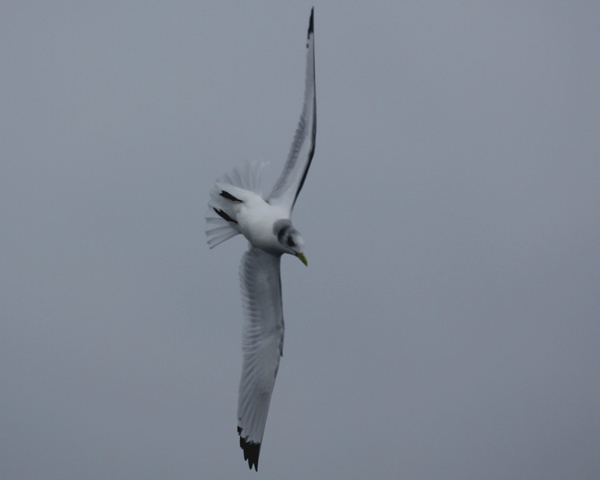 Thanks for posting these excellent photos of the Kittiwake, Corey! I just realized I have a photo of this species and didn’t even know! Where Are You Birding This Second Weekend of November 2014?